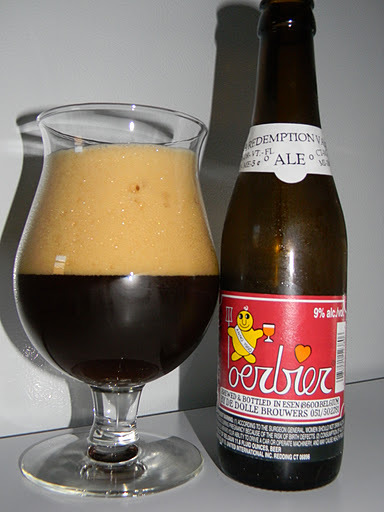 Review of De Dolle Oerbier | Beer Apprentice - Craft Beer News, Reviews, Interviews and Info. After reading your review, it would seem as though the label doesn't do this beverage justice huh? Goes to show you that you can't judge a book (brew) by its cover (label). Definitely not. Some of the best beers in the world have very “plain” labels. Pliny the Elder has a very bare label and it is widely regarded as one of the best IPA's out there. Not to mention the Westvlederen 12 has no label at all and many regard it to be the best beer in the world regardless of style.